"I’ve downloaded and installed the ACT!/QuickBooks links. You weren’t kidding. It’s fast, easy-to-use, and agile. Thank you." We've helped customers throughout the US and around the world improve, organize and simplify their quote-to-sales process with the Xact Link for Act! and QuickBooks. 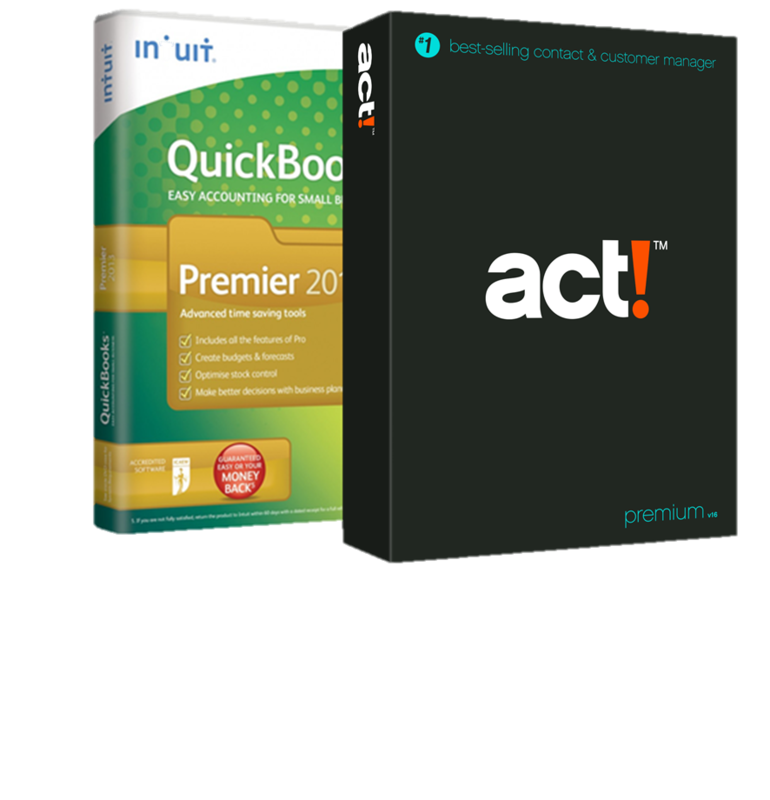 This powerful addon brings important QuickBooks account information and sales tools into Act! live, so you can manage all your customers from one place - Act! 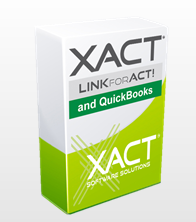 Eliminate duplicate data with the Xact Link for Act! and QuickBooks. Key Sales Data - Providing a quick summary of customer’s monthly /yearly sales history for the past 5 years. And because the data is stored in Act! fields you can use it to perform lookups and perform other data analysis using Act!. Offline Data mode enables you to access customer information, account information and sales history when you're not connected to QuickBooks. Now you can view and add new credit card details to QuickBooks customers from within Act! The link displays only the last 4 digits and expiry date of customers credit cards so that sales staff in Act! can identify a valid credit card to complete sales. With the Xact Link for ACT! and QuickBooks you will only ever need to enter data once - saving you time and reducing the potential for errors! Users can update customer information and create sales documents in either database and it will be visible across the organisation instantaneously. This means that you can create and edit customer data and sales documents from within ACT! and the changes will automatically be updated in QuickBooks (and vice versa). Our link creates a live connection between ACT! and accounting software - no synchronization required! Live integration gives users continuous real-time access to QuickBooks information from within ACT! rather than continuously running sync processes in the background that slow your computer and leave you with old data. With the Xact Link for ACT! and QuickBooks you can connect unlimited Xact Accounting Link users to QuickBooks using only one QuickBook's license. Also, unlike other products we don't charge for our server component AND Xact Accounting Link users can access the QuickBooks data file even if QuickBooks isn't installed on their PC without limiting the functionality of the product!